Better to publish late than not to publish at all. 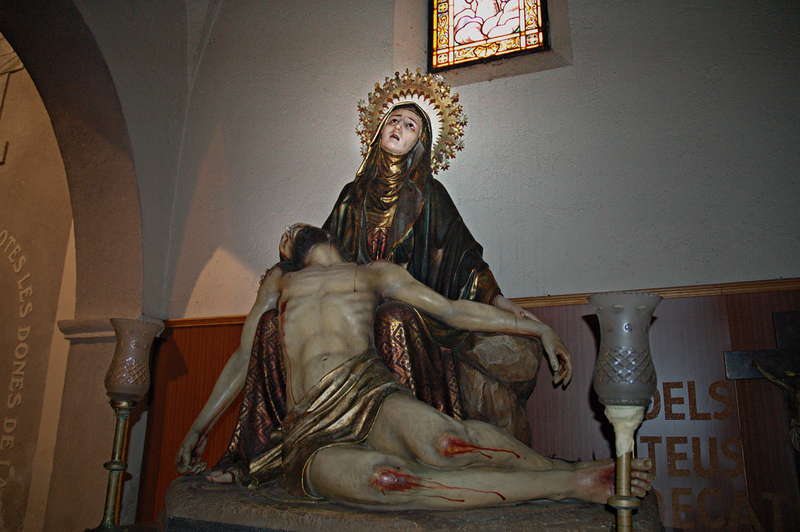 This is what is known as a Pietà, that is, the Virgin holding the dead body of Christ. It is located in the romanesque church of a town called Gualba de Dalt in the province of Barcelona. Gualba is part of the Natural Park of Montseny. Wow, it's amazing. Great photo.